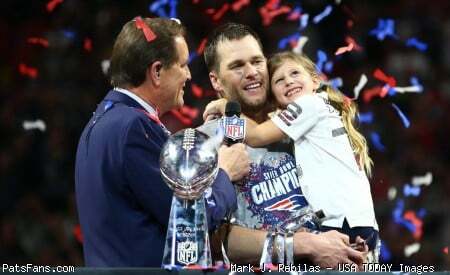 Discussion in 'PatsFans.com - Patriots Fan Forum' started by Yorkshire Pat, Feb 8, 2019. Flowers... this guy is almost a unicorn. He is the perfect DL for our system. Flowers. We can hope that Wynn slides into tackle. We have no pass rusher on the D-line other than Flowers and he can play in multiple spots. The team already has Wynn I think its easier to find a veteran LT that Scar can coach up than a DE who can play in the defense. Flowers, but I maintain they both move on. $$$. I say lock up both we won the Superbowl due to both line play. We don't win the Superbowl without those guys. Make them a priority receivers and tightend can be filled in the draft. Hoping Admendola or Beasley is added. NE has moved on from soooooo many players that « you don’t win without ». You WIN because you stick to your numbers and values. You win because you don’t fall in love with individuals. I hope they figure out a way to keep both. Good durable players are gold and these guys are among the best. Belichick has shown he will pay a premium for premium players Flowers fits that mold. Brown it's 50 50 my preference is to keep him at the expense of Cannon. If we have some players retire and free up some cap we may lock up both. I wonder if Flores and Patricia will target Flowers as a priority. Both looking at around $12mil i think so if gronk retires that gives us approx $28mil cap space. Then Ghost needs paying 4ish. I think flowers is the better football player but Brown looks after the crown jewel. Flowers seems more likely to accept a team friendly deal than Brown from whats been said. What I would give to be a fly on the wall inside Bills office. More confident in Scar grooming Brown's replacement than finding a Flowers replacement. Pretty sure he opens up a great deal for the defensive line. How important was Brown in the run game? Asking as I'm unsure how his run blocking was/ if we ran to his side all that often. I would be pleasantly surprised if Pats can bring back Flowers at his market which i think is still very much underrated. PFF projects 5y/80M/50gdt. Id guess BB would have no problem paying that but i think offers will go much higher - also depending on who actually hits FA. I believe he'd like to return if Pats can be in the ballpark but im afraid that ball park might be out of range for the best D player in the postseason with the amount of cap around. He might not like to play for Jets for whatever the offer is but Colts are over 100M too and a nice fit. Im not sure FT is an option here bc its so much cheaper for Gost and more essential. Id be shocked if they (can) bring Mount Brown back..
Oh seriously you think Mount Brown should be mentioned in the same breath as Trey Flowers?? Mount Brown when he's right can be good but he can also get Big fat and lazy that's reason why we got him in the first place. Flowers is a fundamentally sound player who consistently works hard. I think he's a 11 to 12Mill dollar a year player tops. If he wants more than that I can't blame us for moving on and wishing Flowers well. Mount Brown should not get more than $9Mill a year maybe 10 that's' starters money and we Drafted Wynn to start. I'd rather have Trent Brown. I mean he is a priority. But the #1 priority? Not sure about that. This is why I reluctantly pick Trent Brown. I don't want to take any chances with protecting the 42 YO GOAT. Let's see Wynn play for a year before giving him the job.